While Winfrey did not specifically identify the shopping trip as a racist experience, she described the incident when asked about her encounters with racism during an interview. 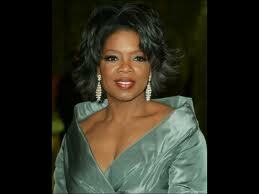 Winfrey chose not to identify the shop, but the name of the high-end boutique — Trois Pomme — was soon revealed. The shop’s manager told CNN the entire incident was a “200 percent misunderstanding” and had nothing to do with racism.